My son has balance and coordination issues. He used to trip or lose his footing even when walking on flat, non-slippery surfaces. Despite his balance problems, he learned to ride a bicycle quickly. I got him an exercise ball to sit on when I read that it helps with balance. 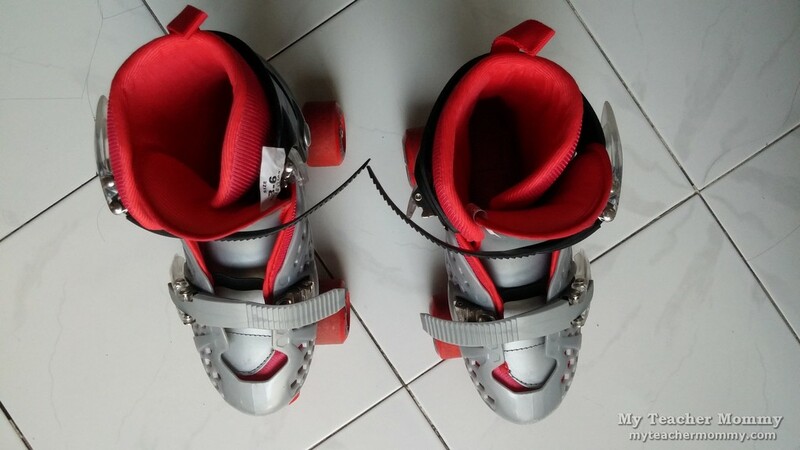 When a friend suggested that I make Motito try roller skating, I went looking for a suitable pair of skates online for ten year old. 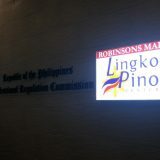 My requirements were simple: solid construction, adjustable sizing, easy to put on and take off, and reasonably priced. My search led me to Roller Derby Boys Trac Star Roller Skates, which rate 4.6-out-of-5 stars on Amazon.com. (I’m a sucker for Amazon customer ratings; they have generally been spot on, based on personal experience.) 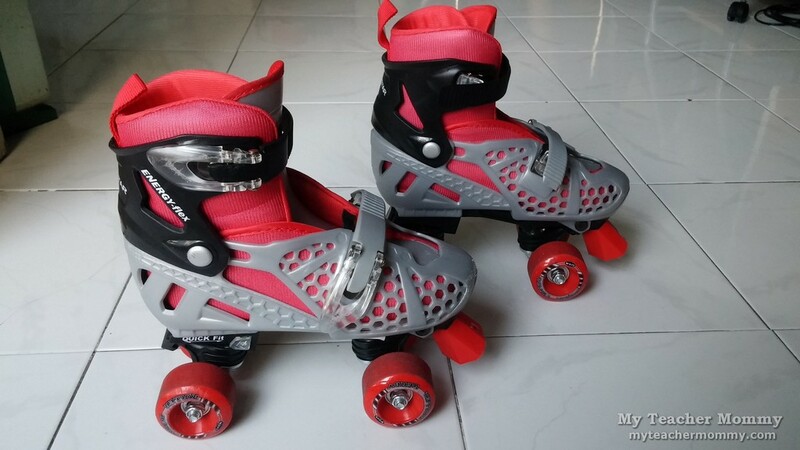 The boys’ version of the Roller Derby Trac Star roller skates comes in only one color: a red-and-silver combination that’s easy on the eyes. 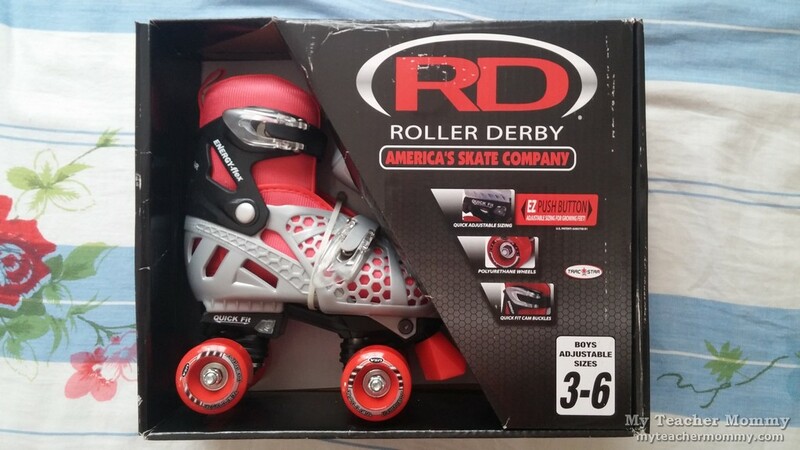 The Roller Derby Trac Star roller skates were selling for USD34.99 at the time, but I scored a pretty awesome Amazon Warehouse Deal for the same pair of skates in “very good condition” for $25.57. The Roller Derby Trac Star roller skates looked well-made, but the real test is when you put it through its paces. We went to a public park and found ourselves an empty concrete parking lot where my son could learn to roller skate safely. The skates were easy to put on and a breeze to secure using the cam-lever buckles, no tedious fumbling with complicated clasps and laces. The roller skates showed good traction on the concrete pavement, as well as offered good ankle support. My son is yet to learn to completely balance on his roller skates, but we’re in no hurry. 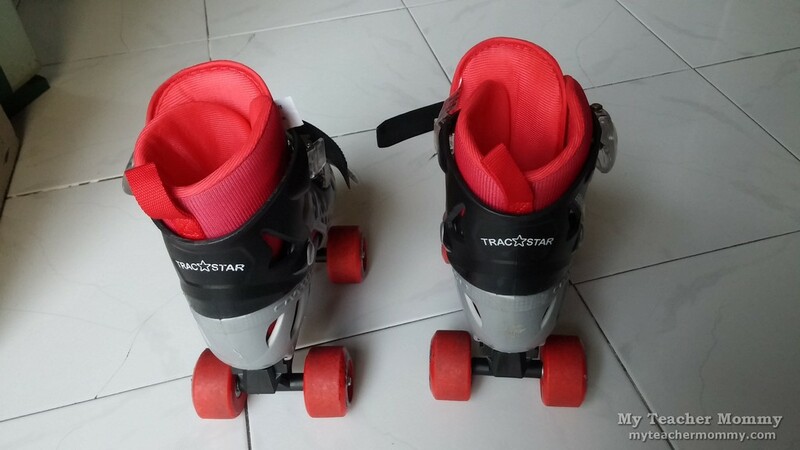 The Roller Derby Trac Star roller skates feature adjustable sizing to accommodate growing feet, so we’ll be getting a lot of use out of this pair. 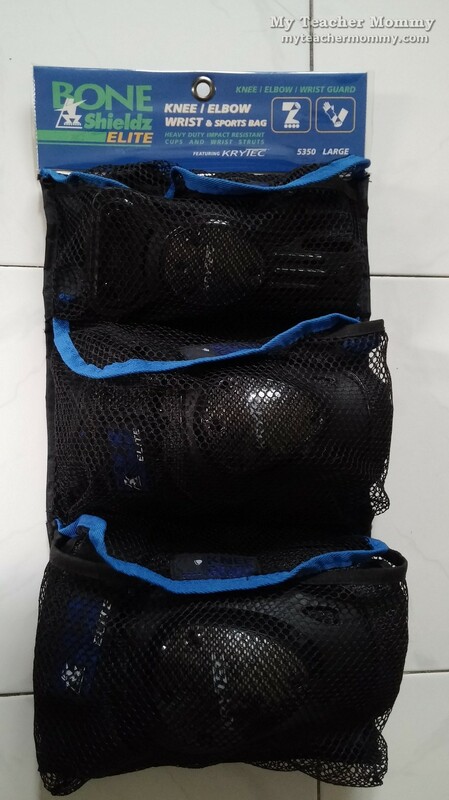 The Roller Derby Trac Star roller skates for boys come in three sizes: Small, Medium, and Large. My ten-year-old wears US size 5 shoes, so I got him the Large (adustable for US shoe sizes 3 to 6). They fit him comfortably, and it looks like he’ll be wearing them for another year, at least. As always when a child is learning anything that involves physical risks, observe safety first. 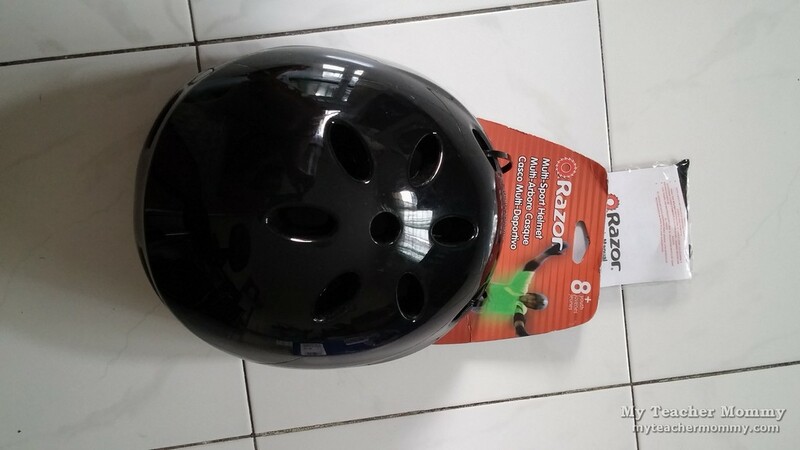 Motito wears a Razor Multi-Sport Helmet at Bone Shieldz Elite elbow pads, knee pads and wrist guards. The protective gear not only give him adequate safety and protection, but they also afford my son a sense of security that allows him to take risks he’d otherwise avoid like the plague. Disclaimer: This is not a paid review. I was not paid or given any sample for this review. This post contains affiliate links. MyTeacherMommy.com is a participant in the Amazon Services LLC Associates Program, an affiliate advertising program designed to provide a means for sites to earn advertising fees by advertising and linking to Amazon.com.